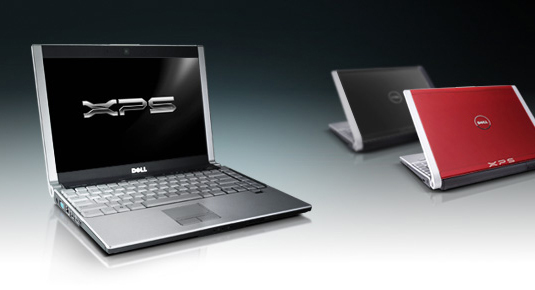 Plan to buy notebook or laptop computer from Dell, especially the popular XPS M1330 ultraportable lightweight notebook, be prepared to wait for weeks, if not months to get the laptop delivered to your home. The customers shipment delivery delay affects almost all Dell XPS, Inspiron and Latitude notebook and Vostro desktop computer orders placed worldwide, and to make matter worse, the shipment delay plague is not yet a history for Dell, and the shortage of the company’s consumer notebook models likely to last into October or November. The delays surfaced earlier this month when customers who have placed order on notebook been informed that their original shipment date has been postponed. The delay is caused by 2 issues according to Reuters (link dead), a supply chain problem on LED backlight LCD display screen component, and trouble perfecting new paint jobs. Dell explained about the delay in several Direct2Dell blog posts (links dead), where they blamed the delay on limited initial supply, and now industry-wide constraints on components such as WLED display, and the difficulty in getting good painting quality on notebook case when volume going up. And most importantly, the demand ‘is exceeding their expectation’, and far overwhelm the pace of which the computer can be supplied. The LED backlist LCD flat panel display is what makes a notebook to be extremely light compared with older version, and the specialized color options, a rare configuration options for Dell which favors “build-to-order” business model, is a step by Dell to boost sales by offering more personalization, comparing with previously rather dull and boring default box package choice. According to DigiTimes, the supply crunch on Dell XPS M1330, Inspiron and Latitude notebook and several models of Vostro desktop computer may last into October or November. So before you place your order to buy a Dell machine, make sure you don’t need it urgently, as you may receive notice anytime without warning that your estimated ship date is delayed, again.